Welcome to Rolling Boxcar’s Defender Gaming Initiative. This initiative is my way of giving back to the veteran community and staying connecting to my military brethren. A little background information is in order before I outline the plans. So, please bear with me and I ask that each of you check your political agendas at the door please. Thanks for your understanding and cooperation! I am 19 year Air Force veteran and have done my time in the “sandbox” and working as a mechanic grunt on heavy aircraft for far too many years. My time “down range” pales in comparison to many of my brothers and sisters in the Army and Marine Corps. The military experience changes a person, both positively and negatively on many levels. I know I have been affected by my time in the service, some good and some not so good. That said, I wouldn’t trade the experience for anything, but none-the-less, my time has impacted me. I have found that connecting with other vets makes talking about our shared culture, experiences and issues much easier. It takes a veteran to truly understand another veteran. Our family and friends just can’t connect with us on that level. I am going to put this out front because it needs to be part of the conversation, PTSD is real and living with it presents unique challenges to those diagnosed with it. It is NOT a negative stigma, but many, veterans included, feel that it is. Many suffer in silence, most suffer alone, but it doesn’t have to be that way! Couple PTSD with the high rate of veteran suicide and many veterans find they are fighting an uphill battle. Veteran suicide is also a very real problem for U.S Veterans and I am sure it is a universal problem. Every day 22 veterans take their own lives. That’s one suicide every 65 minutes! This is one of the very real issues veterans contend with. I want to do my part to help create an environment that promotes camaraderie and esprit de corps among veterans through gaming, roleplaying games in particular. We’re all taught in Basic Training that you never leave your wingman or battle buddy behind and now more than ever is no time to leave anyone behind! Therefore, I am starting this gaming initiative so I can connect veterans with other veterans to play roleplaying games. I believe that coming together by way of a game will allow veterans to feel comfortable and at ease with each other. My hope is some will let their guard down, even for a short period of time, to really enjoy the gaming experience. This coming together for a positive, common purpose may also help some feel connected through another, independent, support network. This initiative is by no means a substitute for any form of medical treatment, but my hope is that someday it will be something that might compliment any treatment for those that have been diagnosed with PTSD, TBI, depression or other such conditions. So, what are roleplaying games (RPG)? RPGs are games, like Dungeons & Dragons, where players assume the roles and personas of the characters within a fictional setting. 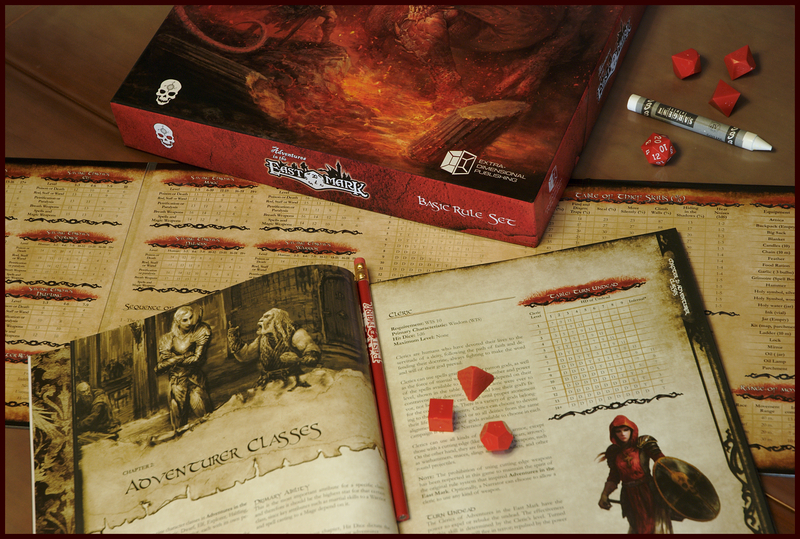 Players will narrate their character’s actions through the adventures presented by the Game Master. Themes could include fantasy, superhero, post-apocalyptic and other similar themes. The decisions made by the players and the roll of a few dice will determine how the characters fare as they traverse new and unique worlds. More importantly, it lets us step outside our day-to-day routines and be someone else, if only for a few hours. Most story arcs can be usually be completed in one or two 4 hour sessions. It really depends on the story being told, the players level of involvement and their desire to continue playing. The plan moving forward is to establish a few mission objectives to make this program viable in the long-term. 3. Foster veteran esprit de corps through games! * Initially, games will be held online through G+ Hangouts and a virtual tabletop application, such as Roll20. After initial rollout, we hope to be able to coordinate face-to-face games as well. Please, if you feel this initiative adds value to the veteran community, share this post with family and friends to help spread the word. Please use the hashtag #defendergaming when sharing this.